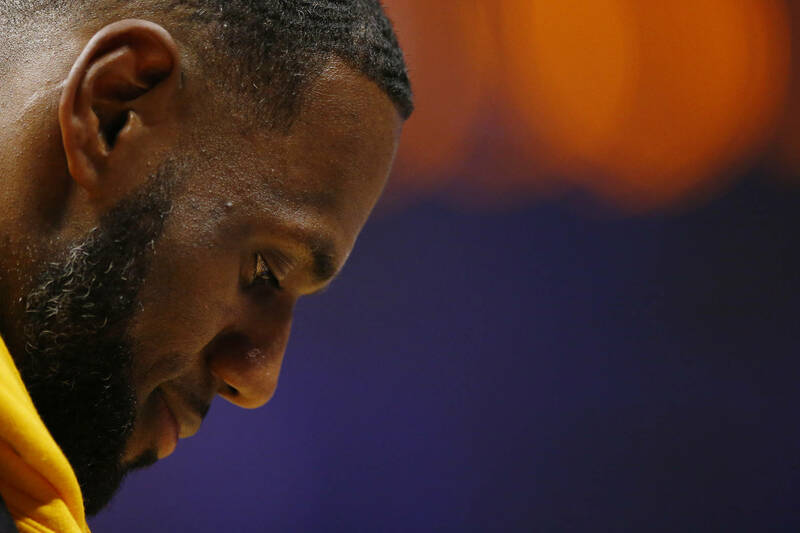 Home>Music> LeBron James Says Nipsey Hussle's Death Is "One Of America's Most Tragic Events"
Within a matter of hours of organizing a tribute to Nipsey Hussle live at a Lakers game, LeBron James found a suitable arrangement to speak from the heart, free of the blinding lights of the Staples Center. He chose the CBS newsroom as the proper venue for his lucid thoughts on Nipsey Hussle's death. As you'll see, LeBron adequately demonstrates the power that lies in exposing a negative truth, or in this case, THE negative truth. During the course of the interview, LeBron really tapped into his empathetic side, as he put himself in the shoes of a community-oriented Nipsey Hussle - his emphasis on the struggle to empower people in his community who lack the same wherewithal or determination. In the case of Nipsey's death, any one of those properties wouldn't have sufficed in keeping the rapper alive. "When you tap into that gift and you know what your gift is and then you give back and you continue to give back and you continue to give back and you continue to put on for where you come from, to see it taken away by someone who didn't have the same drive...is what we have to deal with in our own inner cities," he explained to CBSLA Sports Director Jim Hill. Nevertheless, LeBron's correlation to his Akron upbringing rings true all the same. In closing, the Lakers' forward referred to Nipsey's killing as "one of the most unfortunate events that has happened in American history." In the wake Nipsey's death, Los Angeles residents in select neighborhoods have been gathering to sort out their perceived differences. As for the greater Hip-Hop community, all its practitioners are doing the same, in trying to make his death a teachable moment and a galvanizing one at that. MUSIC LeBron James Says Nipsey Hussle's Death Is "One Of America's Most Tragic Events"